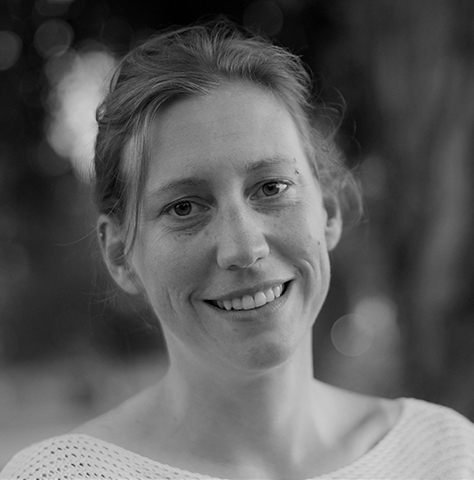 Dr. Mieke van Holstein is a postdoctoral research fellow working with Dr. Stan Floresco in the Neural Circuits and Cognition Laboratory at the University of British Columbia. She completed her PhD training in the lab of Prof. Roshan Cools at the Donders Institute for Brain, Cognition, and Behaviour. During her PhD she used a number of techniques, including genetics, brain imaging (fMRI), brain stimulation (TMS), and pharmacology to study how rewards can alter cue-guided cognitive ﬂexibility. During this period, she obtained an interest in translational research and spent a year as a visiting researcher in the laboratory of dr. Bernard Balleine, at the university of Sydney, Australia. Her current work in the Floresco lab focusses on how dissociable regions of the prefrontal cortex, the striatum and amygdala are involved in cue-guided behaviour in the context of risky decision making. Dr. van Holstein focusses on studying the neurobiology underlying behavior that requires adaptation to changing task rules and to varying degrees of risk. She uses a range of techniques that allow the direct manipulation of brain regions and their connections, aimed at elucidating the neurocircuitry and neurochemistry mediating normal cognitive function and identifying potential mechanisms underlying dysfunction of these processes observed in psychiatric disorders—ultimately to develop a novel model that may be used to test promising new treatments for the cognitive deficits observed in psychiatric disorders. van Holstein M, Froböse MI, O'Shea J, Aarts E, Cools R. Controlling striatal function via anterior frontal cortex stimulation. Sci Rep. 2018 Feb 19;8(1):3312. doi: 10.1038/s41598-018-21346-5. PubMed PMID: 29459720; PubMed Central PMCID: PMC5818614. Floresco SB, Montes DR, Tse MMT, van Holstein M. Differential Contributions of Nucleus Accumbens Subregions to Cue-Guided Risk/Reward Decision Making and Implementation of Conditional Rules. J Neurosci. 2018 Feb 21;38(8):1901-1914. doi: 10.1523/JNEUROSCI.3191-17.2018. Epub 2018 Jan 18. PubMed PMID: 29348192. Ma I, van Holstein M, Mies GW, Mennes M, Buitelaar J, Cools R, Cillessen AHN, Krebs RM, Scheres A. Ventral striatal hyperconnectivity during rewarded interference control in adolescents with ADHD. Cortex. 2016 Sep;82:225-236. doi: 10.1016/j.cortex.2016.05.021. Epub 2016 Jun 23. PubMed PMID: 27399612. Bradfield LA, Dezfouli A, van Holstein M, Chieng B, Balleine BW. Medial Orbitofrontal Cortex Mediates Outcome Retrieval in Partially Observable Task Situations. Neuron. 2015 Dec 16;88(6):1268-1280. doi: 10.1016/j.neuron.2015.10.044. Epub 2015 Nov 25. PubMed PMID: 26627312. Aarts E, van Holstein M, Hoogman M, Onnink M, Kan C, Franke B, Buitelaar J, Cools R. Reward modulation of cognitive function in adult attention-deficit/hyperactivity disorder: a pilot study on the role of striatal dopamine. Behav Pharmacol. 2015 Feb;26(1-2):227-40. doi:10.1097/FBP.0000000000000116. PubMed PMID: 25485641; PubMed Central PMCID:PMC5398319. van Holst RJ, van Holstein M, van den Brink W, Veltman DJ, Goudriaan AE. Response inhibition during cue reactivity in problem gamblers: an fMRI study. PLoS One. 2012;7(3):e30909. doi: 10.1371/journal.pone.0030909. Epub 2012 Mar 30. PubMed PMID: 22479305; PubMed Central PMCID: PMC3316530. Aarts E, van Holstein M, Cools R. Striatal Dopamine and the Interface between Motivation and Cognition. Front Psychol. 2011 Jul 14;2:163. doi: 10.3389/fpsyg.2011.00163. eCollection 2011. PubMed PMID: 21808629; PubMed Central PMCID: PMC3139101. van Holstein M, Aarts E, van der Schaaf ME, Geurts DE, Verkes RJ, Franke B, van Schouwenburg MR, Cools R. Human cognitive flexibility depends on dopamine D2 receptor signaling. Psychopharmacology (Berl). 2011 Dec;218(3):567-78. doi:10.1007/s00213-011-2340-2. Epub 2011 May 25. PubMed PMID: 21611724; PubMed Central PMCID: PMC3210362.